We will start the walk through historical parts of Prague on the Republic Square with its beautiful Art-Nouveau Municipal House. Through the adjacent Powder Tower, a remnant of the medieval town fortification, we will walk down the "Royal Route" to the Old Town Square (UNESCO). 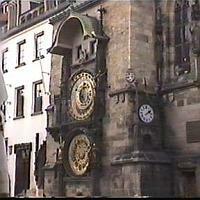 There you will be impressed by a unique complex of old buildings dominated by the world-famous Old Town Hall with its Astronomical Clock and apostles, the monument to the preacher Jan Hus, the church of St. Nicholas, the Týn Church, and a number of palaces. You are in the very "historic heart" of the town. Through one of the typical narrow Old-Town streets, full of ancient houses and palaces, cafés, shops, and galleries, we will walk towards the Charles Bridge, which was established in 1357 by the Roman emperor and Czech king Charles IV at the place of an older bridge. Here you will enjoy the unforgettable view at the beautiful panorama of the Prague Castle and the St. Vitus Cathedral. Relishing the walk along the bridge, crossing the Vltava river, you will reach the Lesser Town, situated below the Prague Castle complex. We will pass the Lesser Town Square with its representative buildings and the church of St. Nicholas, a historical building from the 18th century. 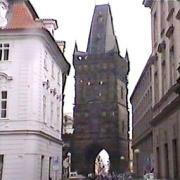 Then we will walk up the famous Nerudova street all the way to the Prague Castle. At the Castle, which is surrounded by royal gardens, you will find the Old Royal Place with the Vladislav Hall, the with picturesque houses from the 16th century, the St. Vitus Cathedral from the 14th century, and the ancient royal stairway. From the Republic Square, where the monumental building of the Municipal House and the Powder Tower will arouse your interest, you will follow the "Royal Route" to the Old Town Square (UNESCO). There you will be impressed by a unique complex of old buildings dominated by the world-famous Old Town Hall with its Astronomical Clock and apostles, the monument to the preacher Jan Hus, the church of St. Nicholas, the Týn Church and a number of palaces. You are in the very "historic heart" of the town. You will walk down the Karlova street towards the Vltava river and to the Charles Bridge, which was established in 1357 by the Roman emperor and Czech king Charles IV at the place of an older bridge. Here you will enjoy the view at the beautiful panorama of the Prague Castle and the St. Vitus Cathedral. The Lesser Town Square is situated near the Lesser-Town side of the Charles Bridge, around the 18th century church of St. Nicholas. 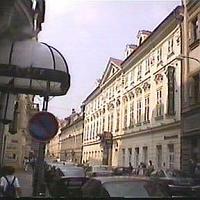 From here, you will walk up the famous Nerudova street towards the Prague Castle. At the castle, surrounded by royal gardens, you will find the Old Royal Palace with the Vladislav Hall, the world-famous Golden Lane from the 16th century, the St. Vitus Cathedral from the 14th century, and the royal stairway. 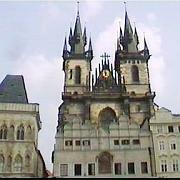 The Czech Republic boasts of many monuments on the UNESCO list. Not far from Prague, there is an ancient mining town called Kutná Hora from the 13th century, with a monumental 14th century church of St. Barbara, an Ossuary, and, last but not least, a mint called "Vlašský dvůr", which became a temporary seat of Czech kings. In Southern Bohemia, on the Vltava river, you can enjoy the PEARL OF RENAISSANCE - Český Krumlov. In this town, there is the second largest castle in Bohemia after the Prague Castle. Among other things, there is a gallery of Egon Schiele, a revolving theater from the baroque era, and a castle garden. Not far from Český Krumlov and České Budějovice (the town of beer), there is a Southern-Bohemian village of Holašovice in the style of PEASANT BAROQUE. The spirit of the old Bohemian countryside is preserved here. To the most interesting UNESCO monuments belongs also the unique complex of Renaissance, baroque, and classicist houses - Telč. This picturesque town with its "fairy-tale" castle and square is often used for filming.